Rio-Carb has achieved ISO 9001:2008 Quality Assurance accreditation as part of an ongoing process to promote best practice at the wear-solutions specialist. A leading manufacturer of wear-resistant Chromium Carbide (CrC) clad liner plates for heavy materials-handling applications in the mining and allied resources industries, Rio-Carb embarked on the accreditation process in order to boost its manufacturing processes and to assure customers of the quality of its products. “Our products are highly specialised and not just off-the-shelf. We deal with many major customers in the mining industry, where such accreditation is mandatory. 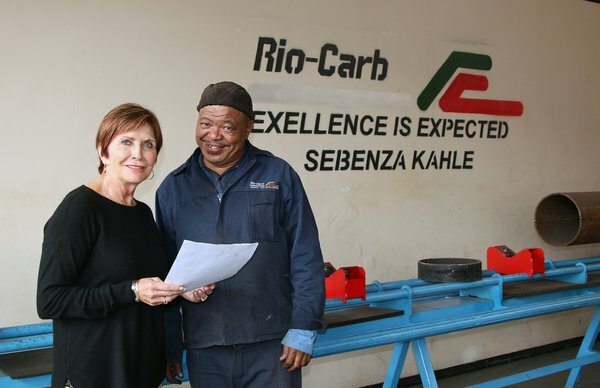 We are very proud of having achieved this quality assurance,” Director Jenny Maine comments, who oversaw the ISO implementation at Rio-Carb. Quality-assurance processes adopted at the manufacturer include holding weekly Toolbox Meetings, making a suggestion box available for employees to put forward their ideas for any improvements, and to conduct regular customer surveys in order to be able to benchmark product quality and service offering. “We are committed to achieving total customer satisfaction through constant improvement in our business processes. 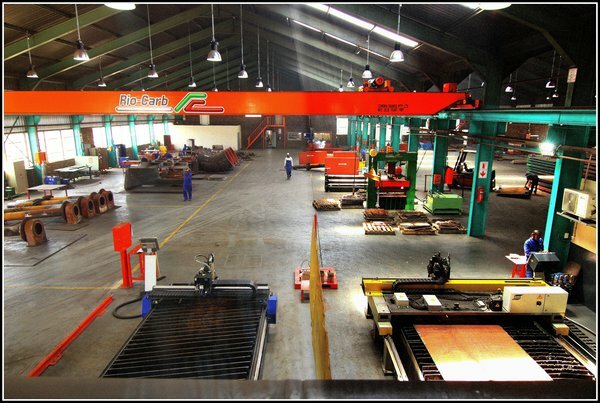 Therefore attaining ISO 9001 was an important step in achieving this,” Maine comments. The aim is to manufacture long-life wear liners that conform to the highest possible quality standards, from the stainless steel studs, to our Rapid Removal system, tight cutting tolerances and ease of movement, coupled with Plasma-Etched part numbers for easy identification and replacement. Maine reveals that the next stage is for Rio-Carb to implement the ISO 14001:2015 environmental management system, which will benchmark its manufacturing processes even further. “An important criterion for ISO 14001 is resource conservation. Our long-life wear solutions play a critical role in boosting materials-handling efficiency and cost-effectiveness,” she concludes.